Each practitioner listed below is licensed and proficient in their field, offering different modalities and techniques with the goal of helping you to achieve and maintain balance in all aspects of your life. We strive to educate our clients about wellness in tandem with providing intuitive, effective bodywork, energetic balance, and nutritional guidance. We have provided a nurturing and welcoming atmosphere away from the demands of everyday life for over 15 years. The benefits of massage therapy in alleviating pain and symptoms of stress, as well as it’s positive role in preventative health maintenance, are core to our work. Regular massage lowers blood pressure, relieves chronic and acute pain, eases migraine headaches, and simply makes life easier to live. We are committed to providing a place of openness where clients’ concerns are heard and acknowledged. Nutritional health coaching offers individualized dietary changes that are restorative in the negative effects of poor eating. This is an opportunity to focus on your dietary habits and transform them so that you feel energetic, vibrant, and healthy. Reiki is the ancient form of bodywork that we should all experience, as it may well create peace on earth if we all practiced it. Relaxing, meditative, healing are only a few of the words that describe Reiki. Abigail DiSalvo is the Founder of All is Well Holistic Center and has served a loyal roster of clients for over fifteen years. She is a Licensed Massage Therapist specializing in chronic pain and tension relief as well as a certified Nutritional Health Coach and Reiki Master. She graduated from the Baltimore School of Massage in 1997 and was certified by The Institute of Integrative Nutrition in 2010. She offers a signature style of therapeutic massage that incorporates deep tissue, healing stones, Raindrop Therapy and Reiki. 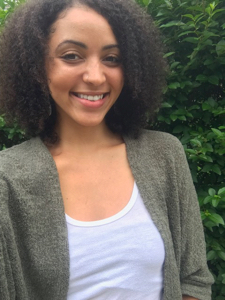 Abigail also guides clients through workable ways to enhance their health through a whole-foods, plantbased diet. Formerly named Scott Adam Life Center, Abigail has always considered her office to be a “wrinkle in time,” a place where the outside world of deadlines, traffic and pressure are left behind. Now, with an expansion of services and a new, carefully chosen collaborative of practitioners serving clients under one roof, her vision of offering a diversity of progressive healing modalities has come to life. All is Well Holistic Center is a peaceful, nurturing environment for the community to come relax, and melt away pain and tension. Abigail is also a passionate teacher in the healing power of food. 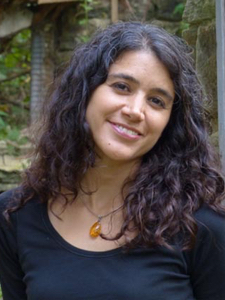 Her goal is to facilitate healing of “multiple aspects of one’s being” within a community of caring practitioners. In addition to massage therapy, meditation and energetic healing offered at the center, a new roster of self-empowerment and stress reduction classes are in development that will offer new perspectives that have not been offered in the community before. With all it has to offer, Abigail has created All is Well Holistic Center as a cutting edge lifestyle and healing destination for powerful change in expression of life. Jennifer Hermann is a 2003 graduate of the Baltimore School of Massage. She is certified by the National Certification Board of Therapeutic Massage and Bodywork, and is a Maryland state licensed massage therapist. She specializes in Deep Tissue, Swedish, and Myofascial Release Techniques. Jennifer has diverse experience practicing in a variety of settings. She has practiced in chiropractic and physical therapy offices, a hospital, and in private practice with other massage therapists. Jennifer started practicing, independently, at Scott Adam Life Center in 2011. Jennifer’s clients include people seeking relief from chronic pain, and soft tissue injuries, as well those seeking tension and stress relief. 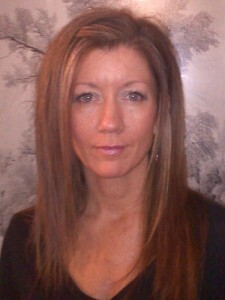 Jennifer creates an individual and relaxing massage experience for each client, based on their specific needs. Jennifer believes in a holistic approach to wellness, and that massage therapy is an integral part of that approach. She believes massage therapy is an effective tool in relieving tension, pain and stress. Jennifer Lee is a graduate of The Holistic Massage Training Institute in Baltimore and a Licensed Massage Therapist. Jen is intrigued by the mind/body/spirit connection and holistic arts. She is passionate about massage therapy because it is a way to connect with others and help them along their wellness journey. Jen practices Swedish and Deep Tissue massage while incorporating Myofascial, Craniosacral, and Shiatsu to aid in the facilitation of natural healing. This varied array of techniques allows Jen to tailor sessions to her clients specific needs; from pain and tension to those seeking a return to a state of complete calm and relaxation.